It may be the beginning of a new year, but there are still strange things afoot. Conspiracies come in all shapes and sizes. From someone plotting to toilet paper your yard, to the New World Order plotting to toilet paper your rights and freedoms. Well don't be caught with your pants down when the conspirators come a knocking! 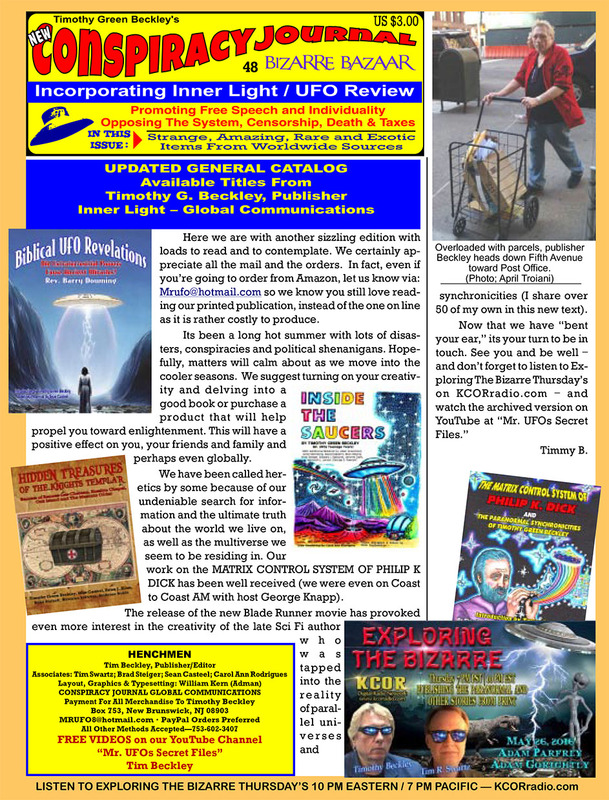 Keep up to date and informed with your subscription to the number one free, weekly e-mail newsletter of conspiracies, UFOs, the paranormal and a whole lot more. Yes that's right! Conspiracy Journal is here once again to fill your minds with all the news and info that THEY don't want you to hear. A nonfiction-cryptozoology author has analyzed reports of non-extinct pterosaurs, commonly called “pterodactyls” or “flying dinosaurs,” and found how sightings relate to thirty-three states (and Washington D.C.) of the United States. "I had long known that California and Texas have been hot spots for pterosaur sightings," Whitcomb said. "This also includes encounters with ropens, some of which have been large flying creatures. But when I did simple statistical analysis based upon human populations, I found that California was only slightly above average for LP sightings and Texas was only slightly below average. Considering how many humans live in those two states, the number of sighting reports of apparent living pterosaurs is nothing extraordinary for those two states." Other findings surprised Whitcomb. When correlated with human population, using six million as a typical U. S. state, the winner for most reported sightings of living pterosaurs is Hawaii, with 44.1. Second place, at 19.5, goes to Utah, and Oklahoma is third with 11.2. Whitcomb suggests caution when interpreting the data, for he found that only a tiny fraction of eyewitnesses ever get in touch with him directly: Those sightings reported to him may represent well under 1% of all the sightings Americans have had with obvious apparent living pterosaurs, so the actual distribution of the flying creatures may differ greatly from what is shown in these statistics. He concluded, however, that these are generally not misidentified birds or bats, for he leaves the more questionable reports out of his publications. Whitcomb declares that his analysis of the 161 reported sightings shows that frigatebird misidentification does not fit with where many encounters happen. In particular, Utah and Oklahoma would never dominate over Florida, if those oceanic birds were being misidentified as non-extinct pterosaurs. Florida had only 1.6 reported sightings per six-million population, which is far below average for a U.S. state. In addition, in the middle of the 48 contiguous states is Kansas, which stands out with 8.4, much higher than average. In the Show-Me state of Missouri, also in the middle of North America, non-extinct pterosaurs seem to show themselves at the common rate of 3.0, near average for the United States as a whole. Also, many of the descriptions in the sighting reports do not fit with any species of frigatebird, according to Whitcomb, and the estimated sizes are much too large for bats: Many estimates of wingspan are over six feet, with some of the reportedly featherless flying creatures, including some in California, appearing to be over fifteen feet in wingspan. A team of research scientists may be on the cusp of switching-off gravity itself, as part of a bid to develop warp-drive travel. The physicists are attempting to harness the power of Quantum Entanglement – a bizarre force which allows one particle to ‘talk’ to a mirror particle even if it is on the other side of the universe. However, some fear interfering with gravity could lead to the kind of universal catastrophe thus far only seen in science fiction books. Gravity has been seen as a basic force of the universe since Isaac Newton’s Philosophiæ Naturalis Principia Mathematica in 1687 – but it’s causes are only now beginning to be understood. 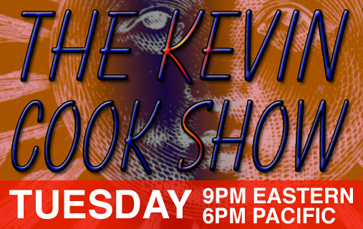 Jeremy Rys, is the founder and CEO of Hover Brothers, a research team looking at building a real, working warp drive. The team have built on top-secret work carried out by Boeing’s Phantom Works in the early part of the century which attempted to create anti-gravity. But Mr Rys now believes advances in quantum understanding and his team’s revolutionary PHOENIX theory will make a practical Star Trek like warp drive a reality within 20 years. He said: “Right now in mainstream physics there is a massive revolution about to take place. “Quantum entanglement somehow holds the key theory to quantum gravity and the physics community is about to discover how gravity really works. “If quantum entanglement holds the key to quantum gravity, the best way to test that theory is to shut off quantum entanglement and see what happens to gravity and that’s exactly what we are planning to do, and we now have a working theoretical basis on which to build and achieve it. “Project Hover is the pursuit of Warp-Drive technology, and the road to warp-space is paved with antimatter. “Using PHOENIX Theory, we intend to completely reshape the world of physics with a whole new understanding of the true nature of Gravity, and develop revolutionary technologies in the process. “The race is on because the first group to come up with a correct theory of quantum gravity via quantum entanglement will not only reveal the secret mechanism by which gravity operates they will also be able to turn it off and discover how to freely manipulate its direction and magnitude at will. “We are on the verge of one of the most incredible breakthroughs in physics since Einstein. Explaining the extremely complex technology he added that historically the atom was thought to be the most basic indivisible block of matter. Later it was found atoms were composed of protons and neutrons, which were then found to be composed of quarks. The PHOENIX team believe they have discovered the internal make-up of quarks and have named them Vertex. Mr Rys said: “The Universe, its spacetime fabric and its matter content, is tied together by basic vertex combinations that evolve through their web of entangled information exchanges. Since PhOENIX decodes the evolution of entanglement, gravity can thereby be reduced or enhanced, turned-on or turned-off through technology. “Vertices are the most basic building blocks of the universe and what we should now be calling atoms. “If quantum entanglement holds the key to quantum gravity the best way to test that theory is to shut off quantum entanglement and see what happens to gravity and Phoenix theory has now given us a working theoretical basis on which to build and achieve just that . “We are now at a pivotal moment for demonstrating PHEONIX and it’s capabilities. The team are using an open source platform for the technology but are looking for investors and backers. 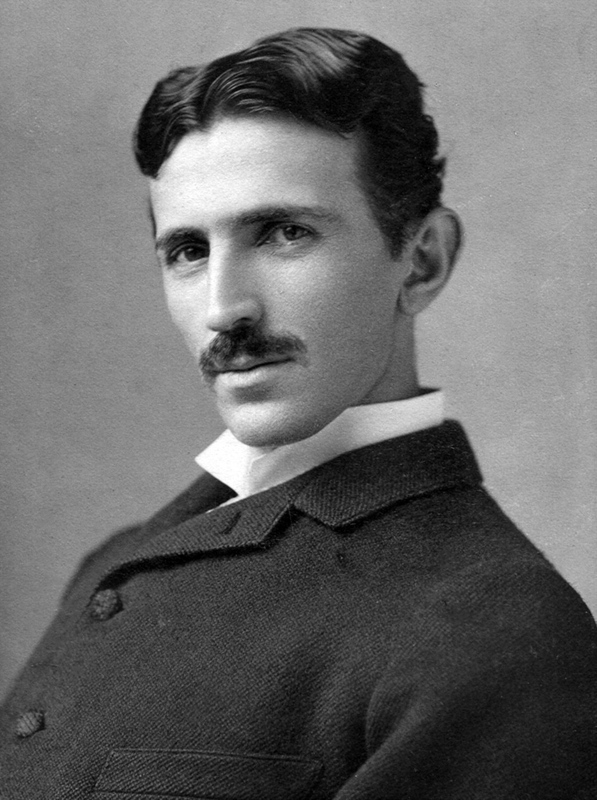 * Editors Note: For more about Nikola Tesla, check out "The Lost Journals of Nikola Tesla" by Tim R. Swartz. Is Planet Earth A "Wildlife Sanctuary"? Recent revelations that the Pentagon had an actual alien-hunting division have rocked conspiracy theorists everywhere, adding fuel to the long-held beliefs of many that the government is hiding the truth from us. Luis Elizondo, the military intel official who headed the now-defunct “Advanced Aviation Threat Identification Program,” which ran from 2009 until 2012, was so convinced by what he saw that he continued his search for E.T. until this day. He now has a UFO-research startup and alerted CNN that there’s “compelling evidence” we are not alone. While Elizondo’s evidence may be based on being privy to a number of unexplained encounters with flying objects, the aliens haven’t made their presence very clear. If the universe contains at least two trillion galaxies full of billions of stars like our sun, shouldn’t there be other complex life forms out there by now? It would only make sense. So “where is everybody?” as the Nobel laureate physicist Enrico Fermi famously asked about the absence of evidence and the high probability of alien existence. There are certainly many speculations about the possibility of aliens and their potential motives. It could be that there’s been no contact because they are too far away, and we need for our technologies to catch up before we meet up. They could look like something else entirely so we can’t even perceive them yet. Or maybe we underestimate the uniqueness and preciousness of humanity and we really are alone. But an idea formulated in the 70s takes a different swing at this compelling issue. The Zoo Hypothesis, proposed by the MIT radio astronomer John A. 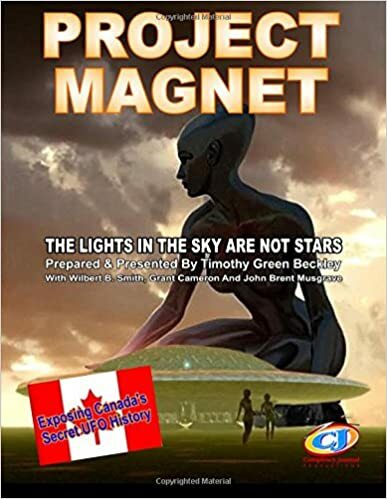 Ball in 1973, says that aliens may be avoiding contact with us on purpose, so as not to interfere with our evolution and the development of our societies. The human civilization could be essentially living in a “zoo” or a space wildlife sanctuary, where others populating the cosmos dare not go. By staying clear of us, they avoid interplanetary contamination. Perhaps the aliens are waiting for us to reach a certain technological or moral point before they will talk to us. Or they may be simply trying to protect us and themselves. You’ve seen “Independence Day” - there may be a similar movie made thousands of light years away about us. This idea of the zoo hypothesis presumes that aliens would want to have some relatively benevolent system of belief - perhaps a universally-accepted law about how to treat lower-level cosmic inhabitants. One explanation could be that a higher intelligence would not want to limit the diversity of paths in the universe by somehow interfering with other beings. The hypothesis makes the most sense in a crowded universe, if there are many civilizations which set up rules by which they govern their coexistence. Of course, if there are many extraterrestrial players, it is also doubtful that one of them wouldn’t have somehow contacted us, even if by accident. Maybe that’s what the Earth’s alien hunters are picking up on - random, unsanctioned interactions. Of course, if we put our tinfoil hats on, it also stands to reason that if there is some kind of Universe-wide law of non-interference with other species, someone at the Pentagon could be in on it. For a more in-depth explanation of the zoo hypothesis, check out John A. Ball's paper "Extraterrestrial Intelligence:Where is Everybody?" Ask any Filipino to tell you a story of the White Lady — it’s unlikely you’ll be disappointed. Don’t get me wrong. 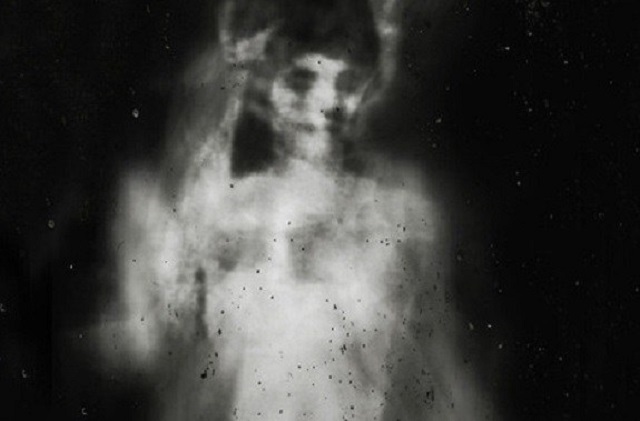 The ghost of a lady in a long, white dress has been reported all over the world. In the U.S., the most famous “lives” in a “castle” in Rochester, New York, and in Japan, Sadako from “The Ring” was inspired by true events in the life of a 14th century servant named Okiku. However, the White Lady’s depiction in Filipino culture — which happens to be teeming with ghosts — is pretty special. To begin with, she’s extremely popular, making countless appearances in local movies, and killing characters until she’s left with protagonists to make some bargain. These usually end with her liberation from seeking revenge, which is often motivated by an untimely death. But it’s not exactly her popularity that makes her the creepiest for Filipinos. The reason lies in the assumption that she shows up anywhere, unlike other entities in local folklore. For one comparison, the kapre, a hairy, red-eyed giant, is limited to rural areas, because he only stays on the branches of huge trees while smoking tobaccos. There aren’t many huge trees in areas like Metro Manila, and when present, there are simply too many people around to start freaking out. The same goes for the manananggal, a sort of vampire whose upper body detaches and flies when hunting its prey. Somehow, this creature is heard in the cities, but more likely to prevent people from roaming around the streets late at night. Stories about such beasts are more common in far-flung rural areas, such as barangays or sitios with difficult transportation systems, which is probably why they fly. Then there’s the tiyanak, a tiny monster that hides in the facade of an innocent baby, which is perhaps the most deceitful of them all. Because really, who can ignore the cries of a sweet-looking baby? Sadly, people from the countryside also get more of this horror, although a belief that they originate from unnamed or aborted babies can scare everyone. Another is the duwende, sometimes referred to as the nuno sa punso. We’re really talking about a dwarf here, but this sort is so unforgiving that one step on its home — the punso or an ant hill — can expect a myriad of misfortunes ranging from common colds to deaths of loved ones. Thankfully, the fact that cities rarely have ant hills saves residents from this creature’s horror, while rural dwellers have been accustomed to saying “tabi tabi po” (“excuse me/us”) when passing near ant hills. For a final match, there’s a monster called the tik-tik, which, in essence, is slightly similar to the manananggal. However, this creature assumes the form of a big, black bird and has a particular taste — it feeds on unborn babies from the roofs of houses by using its long, elastic tongue. Because big birds are rare in the cities, stories are also more popular in rural areas. There are way more ghosts and monsters in Philippine folklore, but as far as it’s obvious, the White Lady gets one distinct advantage that others don’t — scale. “We were driving to Manila when we crossed the first bridge from our hometown. My daughter just got back from school. It was just around 5:00 PM but it was already dark. So we turned the headlights on. “But just as we crossed the bridge, the lights went off, and to my horror, I saw a White Lady sitting next to my daughter at the backseat. Interestingly, the most infamous Filipino White Lady resides in a suburban area surrounded by trees. This is the ghost haunting Balete Drive, a street in New Manila, Quezon City. The street acquires its name from the abundant Balete trees around it. This is already scary for many Filipinos because these trees have long been associated with paranormal phenomena. But the White Lady along Balete Drive couldn’t care less, making apparitions to haunt anyone crossing. For the longest time, witnesses have been urging drivers to avoid the street if they’re alone, especially at night. When possible, the back seat should be fully occupied and that no one should ever look back or stare in any of the car’s mirrors. You know what happens next. The legend became so scary that many who crossed the street reported sightings, or at least feelings of uneasiness, which is completely understandable. I haven’t been there, but I was told to horn from the intersection where it starts. That should communicate that I’m asking for the White Lady’s “permission” to let me through. “I haven’t really seen the White Lady on multiple occasions I passed by Balete Drive. Still, I felt something was always off about the street. I’m not sure if it’s just my head, the many stories I heard or there’s really something eerie going on. American audiences have fallen under the spell of actor Hugh Laurie in his portrayal of the misanthropic physician Gregory House on Fox’s “House M.D.”, but fans of Mr. Laurie’s work will surely remember one of his memorable roles as an unnamed, uncredited scientist in the music video “Experiment IV” by the incomparable Kate Bush. The 1985 video, which is closer to a short subject film in its intensity, has Laurie falling prey to a winged humanoid monstrosity – a product of an experiment in sound gone awry – and the viewer only sees the terrified scientist’s reaction to the nightmarish entity, and the ultimate lapse into a catatonic state. The fear projected by the actor in that silent scene is gripping and stays with the viewer long after the video is over. It is precisely this fear that is so well described in the Mexican reported just last week, when “El Heraldo de Chihuahua” published the story of a young man who had been terrified by a vast, winged humanoid form that kept pace with his Jeep even as he tried to outrun it (Mexico: Panic Over "Humanoid" in Chihuahua – March 27, 2009 – www.inexplicata.blogspot.com) We need only watch Hugh Laurie’s performance as the terrified scientist to imagine the expression on the student’s face as he was confronted by the apparition. An older person would probably have succumbed to a massive heart attack, which is precisely what happened to a Puerto Rican sugarcane cutter in 1995, when giant winged creatures were reported on the island, harbingers to the “Chupacabras” manifestations later that same year. Despite their markedly different climatic conditions, steamy Puerto Rico and dusty northern Mexico share an unlikely common characteristic. For generations, ranging as far back as the 19th century, they have been the source of reports of winged entities of all sorts – not just “Thunderbird”-type manifestations, but flying anthropomorphic creatures that appear in waves. Popular tradition holds that such beings live in caves, whether in the hot dry Sierra Madre or limestone caves in the Caribbean karst region of northern Puerto Rico, which would offer great shelter for the creatures described. But what would they eat? Are they responsible for animal mutilations, or worse yet, reports of missing humans? It is likelier that we are dealing with a truly interdimensional phenomenon that is able to manifest itself “when the stars are right”, in true Lovecraftian fashion. That said, one must hasten to add that these two locations cannot be said to have a monopoly on these creatures. The Mothman could not come from a more different location, and its background differs widely from that of its southern kin. Other winged humanoids are described as being headless, and the antiquity of these reports is attested by the fact that spellbooks from the late Roman Empire offer magical spells against the appearance of precisely such creatures. On August 31, 1967, José Padrón, a watchman at a construction site in San Luis Potosí, was about to turn in for the night within the cramped confines of the site’s guardhouse. At around 1:00 a.m., he found himself stirred from his slumber by a noise --- someone or something large was making its way around the motor pool. Bears are not uncommon in northern Mexico, so one could have come down from the mountains to forage. Intruders, whether ursine or human, did not worry Padrón in the least: the latter were usually small-time thieves after spare parts for quick resale, or local adolescent vandals. But when the watchman stepped out of the tin-roofed guardhouse, the last thing he was expecting to see was a vast, winged shape heading toward him, striding like a giant. It was the set of wings that etched itself into Padrón’s mind. He would later described them as comparable to those of a small aircraft, and the noise was apparently made as the creature tried to fly away from the construction site. Outmatched by the intruder, the watchman ran for the precarious safety of the guardhouse, from which he did not emerge until the following day, when Enrique Rueda, the site’s supervising engineer, found the watchman cowering inside. We can only assume that Rueda listened dispassionately to Padrón’s account of the events, wondering how much pulque – fermented maguey juice – the man had consumed before passing out. But any doubts in the engineer’s mind were dispelled when he saw footprints not far from the guardhouse. When measured, the indentations on the sandy ground measured slightly over twelve inches across and were six inches deep – requiring a force estimated at nearly six hundred pounds to create, by Rueda’s reckoning. 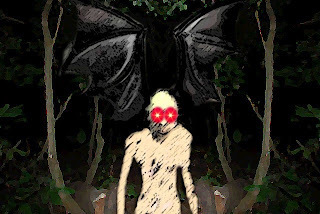 With the possible exception of the repeated sightings of West Virginia’s Mothman, events of this kind appear to be a one-off event: the witnesses see the entity once and never again. But night watchman José Padrón was to have the dubious pleasure of a repeat visit from the winged humanoid on the following night...and on this occasion, it brought a friend. Stifling his panic, Padrón took a long, hard look at the entities, which left numerous footprints behind as they made their way around the construction site, in search of food, building materials for an unimaginable eyrie in the mountains, who knows. But the initial winged creature and his mate eventually flew into the darkness, heading toward the San Miguelito Mountains. Padrón was able to add an extra detail that perhaps dovetailed with engineer Rueda’s calculations of the creature’s weight: the ground shook as the creatures took off from the premises. Other evidence suggested that a mesquite branch had been snapped in two as one of the creatures flew by, no small feat considering the strength of the tree. No samples of hair or feathers were in evidence, either. Prudently, the supervising engineer ordered that the night watch be increased to twelve unarmed men. Hector Urdiales, a member of Mexico's Cosmos A.C. paranormal research foundation, decided to lead an investigation on Easter Week, 1984 to a seldom-visited area located behind Monterrey's Cerro de la Silla, an enormous, irregular-shaped hill dominating the city. Stories of a monstrous winged being prowling the area had come to Urdiales' attention. Accompanied by a friend, the explorer stopped at a roadside general store on the road to San Roque, N.L. where he interviewed the owner, who was among the many witnesses to the creature. They followed his indications as to where to camp and mount their watch. Nothing unusual happened during their first day and night on in the area. On the following morning, while combing the banks of a stream running through a copse of savins, Urdiales and his companion made a chilling discovery. The grass at the base of one of the trees by the stream was covered in the fly-covered blood and entrails of an unknown animal. Closer inspection revealed that the savin's entire trunk was streaming with blood flowing from above. Hesitantly they followed the trail of blood with their eyes until they came upon a surreal sight: some twenty feet off the ground, a large boar had been split open and spitted to a tree limb. Fear washed over the researchers, since they realized that the tall savin lacked the strong lower limbs which would have assisted a human to deliver the grisly cargo to such a dizzying height; nor could their minds conjure up any feline predator strong enough to drag a two-hundred pound boar up a cactus. Only a carnivorous winged predator having the wingspan and talons needed to attack that kind of prey could have possibly been responsible for the carnage. On July 20, 1994, a farm worker at Rancho El Sabino in Monterrey was heading back to his house to have lunch at around eleven o'clock in the morning. As he walked past a nearby graveyard, the farm worker noticed something emerge from a another footpath at a distance of some hundred feet: as he got closer, he realized that he was looking at a half-human, half-avian creature which seemed indifferent to the startled human's presence. The creature continued to walk, chicken-like, down the footpath until it reached a crossroads. The birdman then flexed its enormous wings and turned down another path. By the time the farm-worker reached the same intersection, the aberrant figure was now half a mile ahead of him until he lost it from sight altogether. Mexican UFO researcher and author Luis Ramírez Reyes makes the following statement in his book Contacto:Mexico (Diana, 1996): "When I learned that Norma Bancroft-Hunt' book Les peuples du Totem presents a sculpture of the conmemorative image of an Owlman--known as Tlingkit among the Yakutat--which according to legend, lived until its death in Icy Bay in 1890 due to a fall from a tree. Its body was never found, since it was devoured by crows, but a totem pole was subsequently carved out of the tree from which it fell. The image reminded me of the gigantic owl which appeared before me as a young man when I lived with my family in the city of Chihuahua in the early Sixties. It gave me such a fright that I ran and hid in my bedroom [...]. Most impressive of all was its size, which was approximately 1.50 meters (5 ft.) tall." Again, we see Chihuahua mentioned as a place where such unusual occurrences appear to be common. 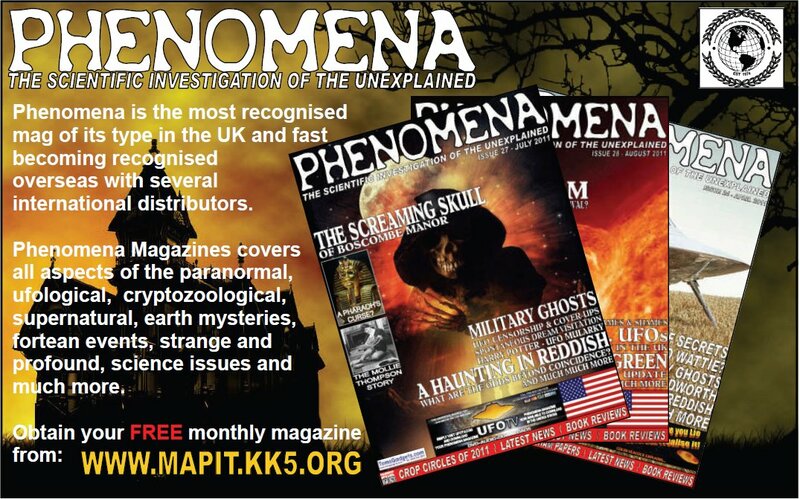 It isn’t often that researchers of the paranormal get to have a close look at their subject of interest, and whenever there are exceptions, these tend to be significant. One such case involves the director Mexico’s Fundación Cosmos, A.C., Ing. Marco Reynoso, a distinguished UFO researcher and MUFON state director for Nuevo León. In the fall of 1979, Reynoso was a harried engineering student trying his best to deal with a heavy course load and work on his dissertation. One night, leaving the university earlier than usual, he arrived at his parents’ house – a rambling, high-ceilinged old manse of the kind common in Mexico – whose kitchen can be clearly seen from the main entrance. All was dark; Reynoso’s father never got back from work before ten o’clock and his mother was out visiting neighbors. The only light came from a single bulb in the kitchen, casting enough light to show the kitchen table, which was located next to a window covered by a curtain. Making his way to the kitchen to grab a bite to eat, the future ufologist noticed movement behind the curtain, but thought it was the normal action of the wind blowing through the open window. Then suddenly, a figure stepped out from behind the curtain: it was a humanoid figure, covered in glossy black hair and standing some thirty centimeters tall with outstretched bat wings. The curtain partly covered its face, so Reynoso was unable to make out any features. Fearlessly, he thought to use the curtain as a means to ensnare the strange apparition and pin it down, but the cloth drapes were suddenly sucked toward the open window, toppling objects on the table surface, and the bizarre creature vanished. Running out to the courtyard, he tried to see if he could find the intruder to no avail. That’s when fear crept in: “I was completely certain that it was no optical illusion,” says Reynoso, “nor any known animal. The contrast between the kitchen and its contents, which were all white, and the blackness of the creature, left no mistake as to what I had seen. That event changed my life completely, since it highlighted the interest for the unknown I’d had since age 8.” The experience prompted him to join his first UFO research group, in whose files he found another case similar to his own, witnessed by a woman from another Monterrey neighborhood. The most intriguing case of the Chilean wave of events occurred in the Summer of 2003, when researcher Jaime Ferrer of the Calama UFO Center made known the story of a young student known only as “Diego”, a resident of Calama who made frequent trips to the desert community of San Pedro de Atacama to visit his grandfather. In these visits he was usually accompanied by this two closest friends, known only as Jonathan and Carlos. Huddling under blankets and praying fervently that the rickety wooden door would somehow withstand the pounding, Diego heard his grandfather’s voice saying that it was safe to come out, and that “it” had gone away. Or had it? The three visitors went outside for a look, trying to recover from their fright, when they noticed that “it’ was standing among the pear trees, standing at least a meter and a half tall, with outspread wings that measured three and a half feet on each side. Even the oceans are not safe from these visitations: on August 10, 2004, Puerto Rico’s El Vocero tabloid ran a story about castaways from the Dominican Republic. Seventy-nine people boarded a fragile vessel in the hopes of reaching the Puerto Rico, and after twelve days at the mercy of the wind and the waves, only thirty-seven survived to tell the tale...a tale of the horrors of the elements, and of the supernatural. When interviewed by the newspaper, one of the undocumented survivors told reporters that a "monster" with vast wings appeared before them. Filled with panic and fear, they began to read a book of the New Testament they carried aboard their yowl, but that the pages of the holy text vanished mysteriously from their hands. Chilean researcher Osvaldo Muray covered a story of apparent demonic possession in the high-rise community of Juanita Aguirre outside of Santiago de Chile. A young lay preacher known only as “N.U.” became the subject of this possession event following a strange occurrence: one evening in the early 1990s, a friend stopped by to visit N.U. and spoke to her from the street level, while N.U. looked out her window. According to Muray, the friend noticed something very strange: a very strange bird was watching their conversation from the topmost branches of a pine tree close to the building. Between the light and the shadows, the person on the ground realized that the bird was not a bird at all, but a winged human. When interviewed, the friend told Muray that his “sixth sense” told him something was seriously wrong, and he advised N.U. to close her window and go to bed. He himself raced back to his automobile and headed home. This is by no means an exhaustive listing of cases that have occurred in Latin America involving “winged weirdoes”, and they represent but a fraction of the recorded cases in the Americas. What are we to make of these entities? Are they real in the sense that a horse or a bear are real, or are they merely physical manifestations of something that comes in (“when the stars are right”, of course) from another level of reality? 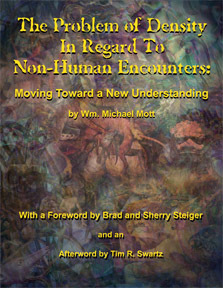 One can well ask what is it about our dimension that compels these entities to appear, and speculation on the subject ranges from an inevitable attraction to places where tragedies have occurred, entities that appear as byproducts of black magic operations and are unable to “return” to their place of origin. It has been argued that they “slip in” with the UFO phenomenon, perhaps swept along as these lights or objects enter and leave our dimension. The mystery remains. For the past 20 years, families forced to live in a public cemetery say that ghosts are constantly tormenting them. 75 residents live in Karuku Public Cemetery in Mbeere South. They were forced to move there in 1985 after being evicted from the town of Makutano, Kenya. Recently, they revealed how ghosts they believe are from the cemetery give them sleepless nights. Elias Kimani said they hear people screaming and talking at night. However, when they search the area, no one is found. The ghosts are especially active at night but are said to be invisible. Kimani and the rest of the 75 families were evicted from Makutano in 1985 to allow for its surveying and mapping. Kimani and other squatters spoke to the press after Mbeere South MP Geoffrey King’ang’i made plots of land available to them in the Wango area in Karaba. The 10 acres was bought by the previous Constituency Development Fund committee to resettle the squatters. Sospeter Mbugua said the plots in which they currently live in the cemetary are too small. He added that they find human bones when they dig latrines. “My family and I live on a 50ft by 15ft plot, which is too small,” he said. "We hope that the ghosts can now rest in peace after the living move away."